Perfectly cut dress with long sleeves. 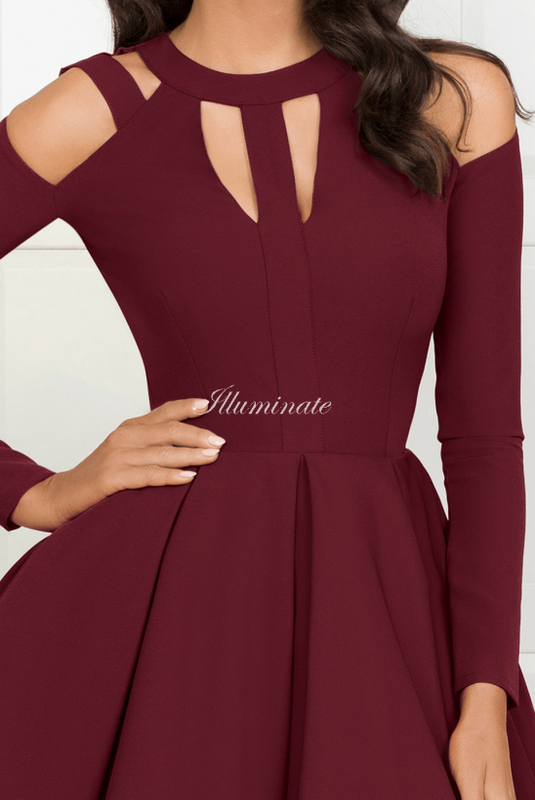 The top of the dress has original cutouts. The fabric of the dress gently stretches, making the dress comfortable to wear. The dress is solidly finished, unique and original.